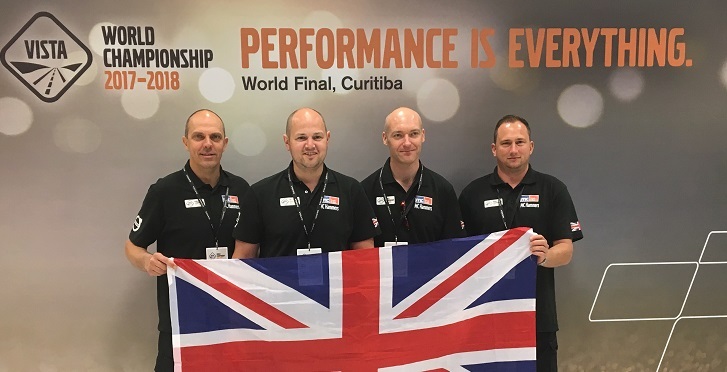 ‘MC Hammers’, a four strong team of truck technicians from MC Truck & Bus in Thurrock, Essex, recently finished in sixth place at the Volvo International Service Training Awards (VISTA), held recently in Curitiba, Brazil. Earlier this year, the MC Hammers won the UK section of this competition in the inaugural rounds held in Gothenburg, Sweden. This success led them to automatically being entered into the world finals in Brazil. “The competition required each team to demonstrate a variety of mixed skills, not just covering manual tasks but also in terms of clear decision-making and solutions finding,” said Brooks. While in Brazil, the MC Hammer’s team also visited a children’s home in Curitiba that is sponsored by Volvo Trucks. At the school, the team spent the day working with staff to improve facilities on site. “Without doubt, this has been a tremendous experience for all the team members from Thurrock and has allowed them to successfully pitch their skills against the very best in the world, demonstrating the quality of technical support that is available from the UK,” concluded Brooks.